The ultimate wash bag for all your weekends away this year. 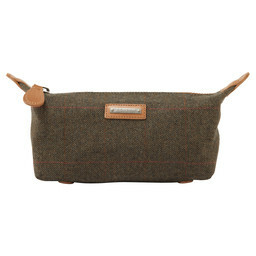 The Schoffel Tweed Wash Bag in our classic Sandringham tweed, has a contemporary style with classic leather detailing. Crafted from pure lambswool it has a moisture and stain resistant fabric and a water resistant lining, ensuring all your toiletires are kept safe and secure. 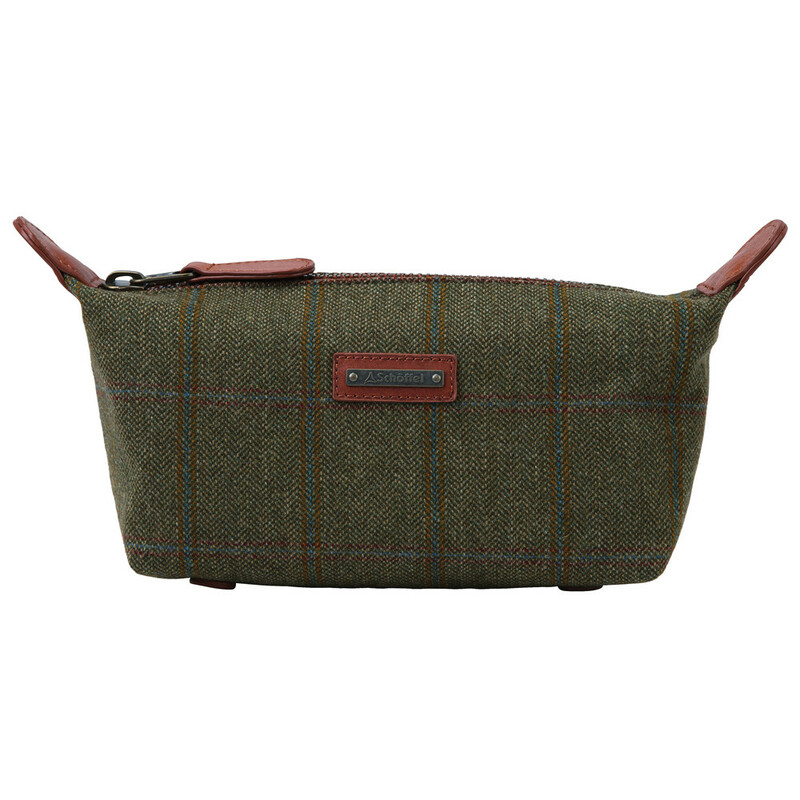 This wash bag is the perfect travel accessory with classic tweed styling for the traditional country character.